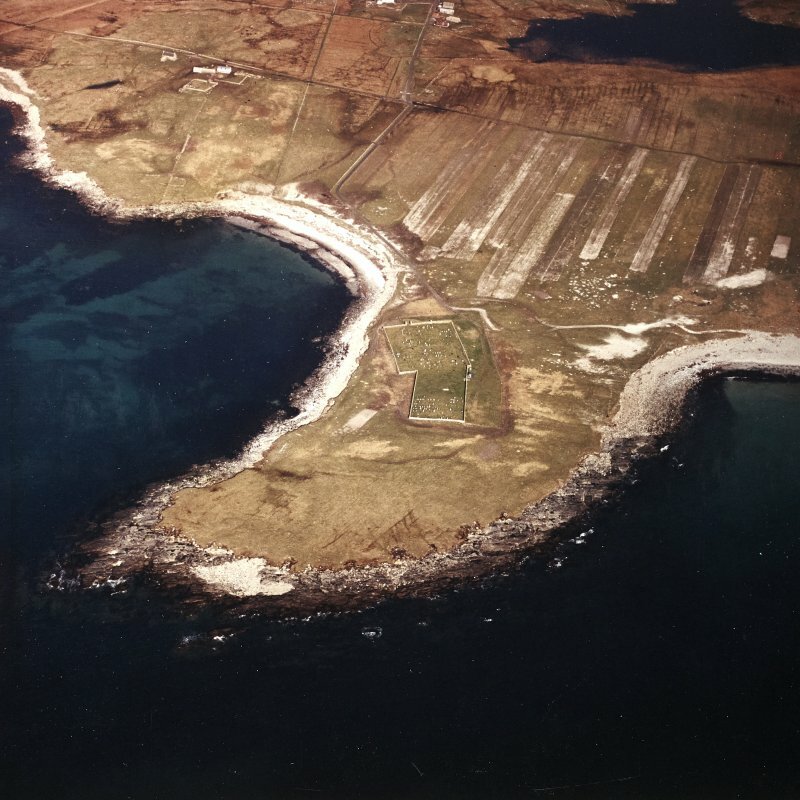 General oblique aerial view looking over the burial grounds towards Eilean Bheirean, taken from the S.
Oblique aerial view centred on the burial grounds and site of the possible chapel, taken from the WSW. 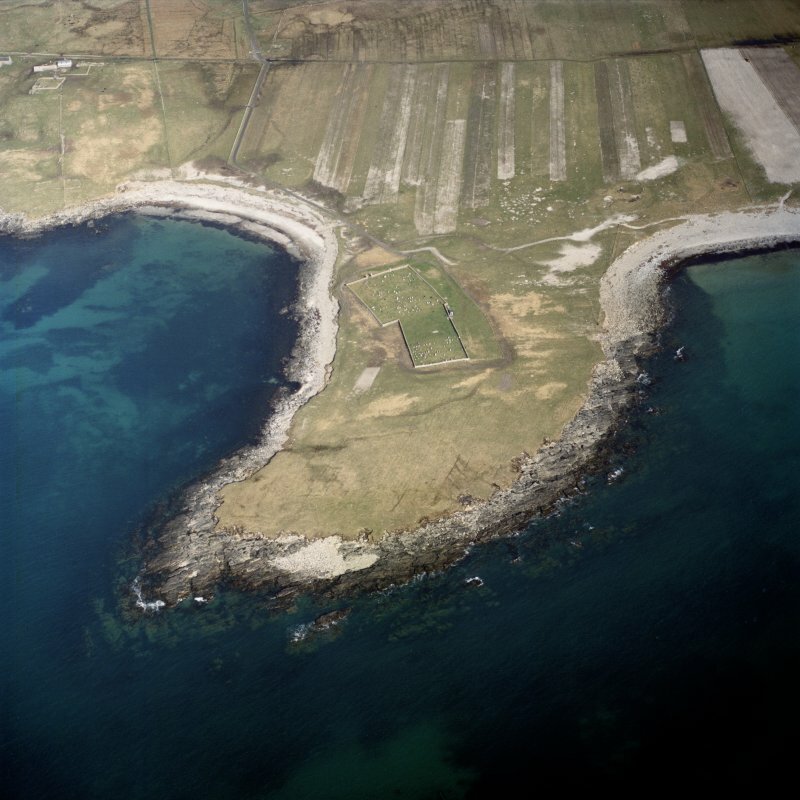 Oblique aerial view centred on Ardmichael burial grounds and site of the possible chapel, South Uist, taken from the W.
Oblique aerial view centred on the burial grounds and site of the possible chapel, taken from the W.
NF73SW 2 7308 3335 and 7317 3337. 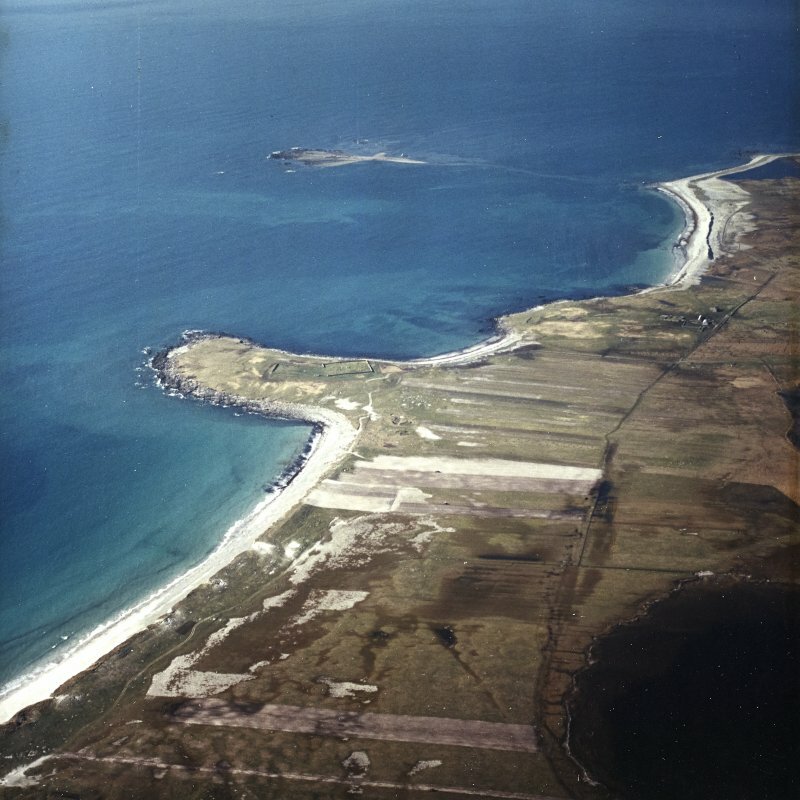 There was a chapel at Ardmichael, South Uist. 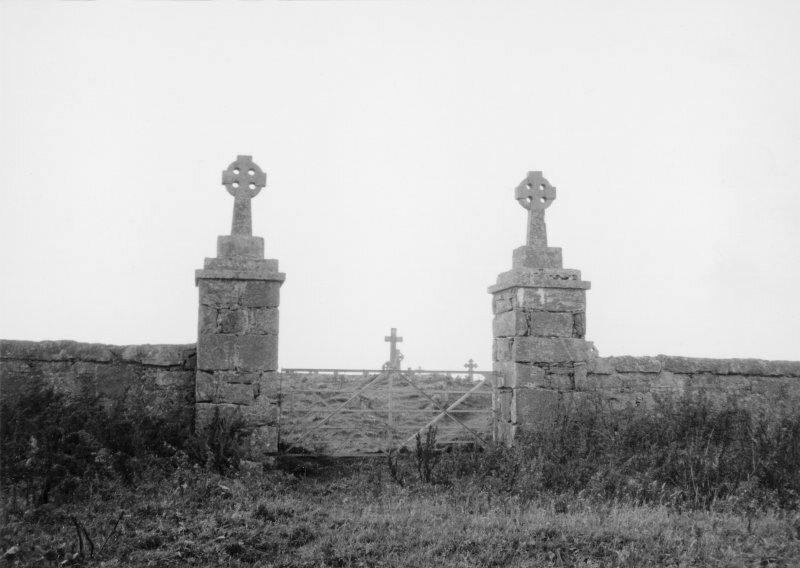 The cemetery still remains. Name Book notes only one burial ground -still in use - otherwise no information. But both burial grounds are shown on OS 6" map, 1st ed., (1881). 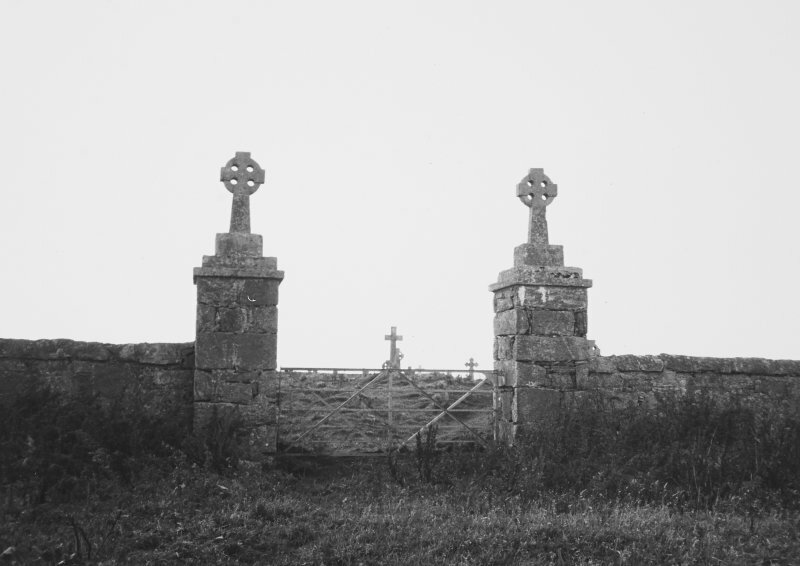 There is neither trace nor local knowledge of a chapel at Ardmichael. 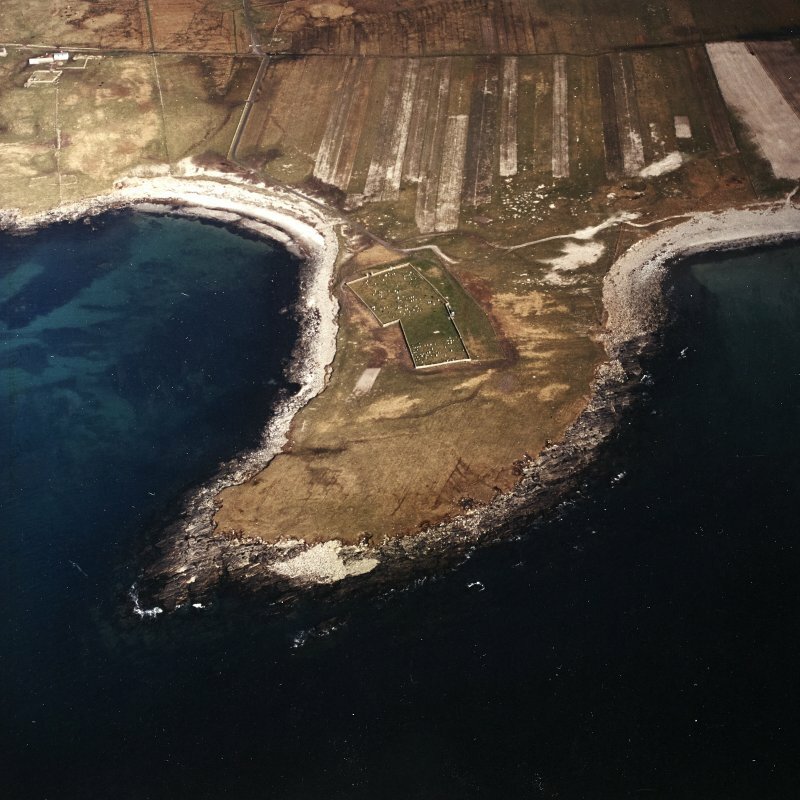 The burial grounds are still in use, the westerly being Protestant and the easterly Catholic. 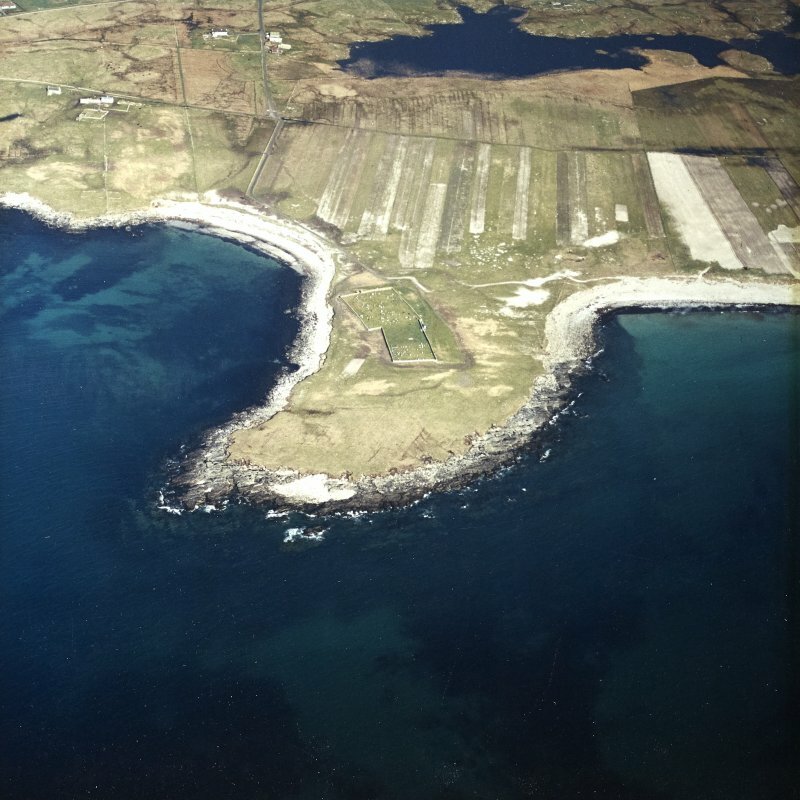 Visited by OS (N K B) 10 May 1965.